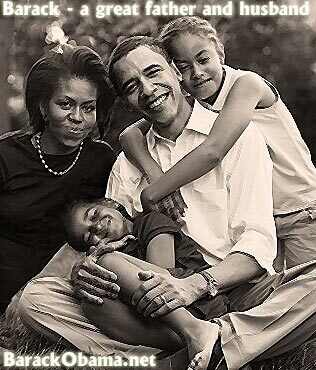 Barack Obama: A Great Father and Husband - Barack Obama.net! 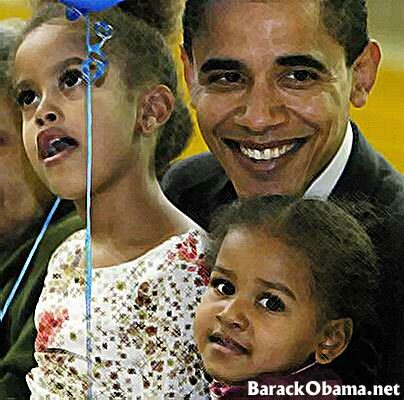 By ALL accounts Barack Obama is a great father and a great husband. And it is wonderful to see such a fine man, who is grounded in his family, ascending to the presidency. You see, Barack Obama has his priorities in order: he works diligently as a politician, but always ensures that there is adequate quality time for his children and wife. 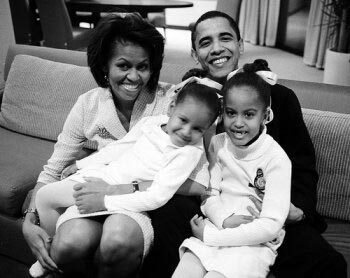 So, Barack Obama is not only an intelligent man, a great politician, a great leader, and a great American; but he is also a great family man. And he is EXACTLY the type of person we need as president!